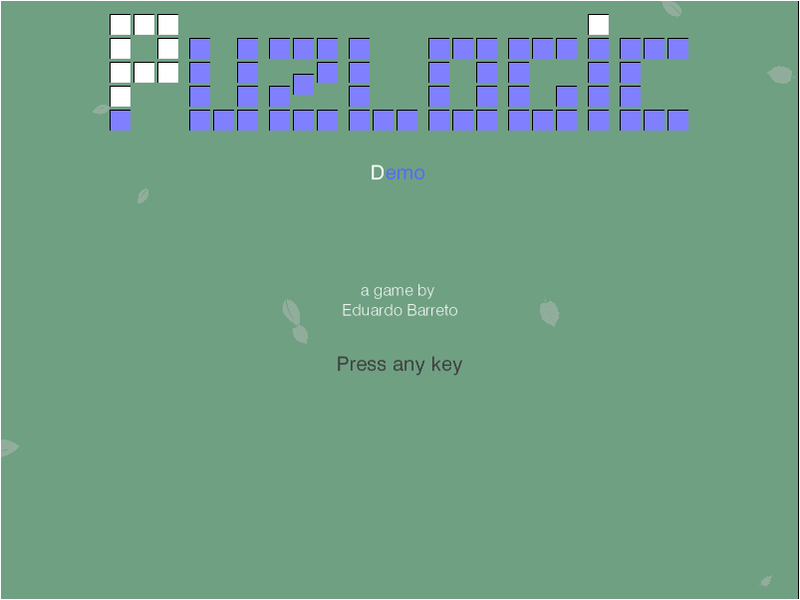 This post shows how Microsoft’s Z3 Theorem prover can be used to solve the Puzlogic puzzle game. We will replace the previous brute-force approach used in my puzlogic-bot with one that uses Z3. Over last few posts we walked through building up puzlogic-bot: building the basic solver, the vision component using OpenCV, hooking up mouse controls with Pynput. As I’m learning to use Z3, the Z3 puzzle solver implementation would be an interesting practical exercise. TL;DR: you can find the final solver code on Github. 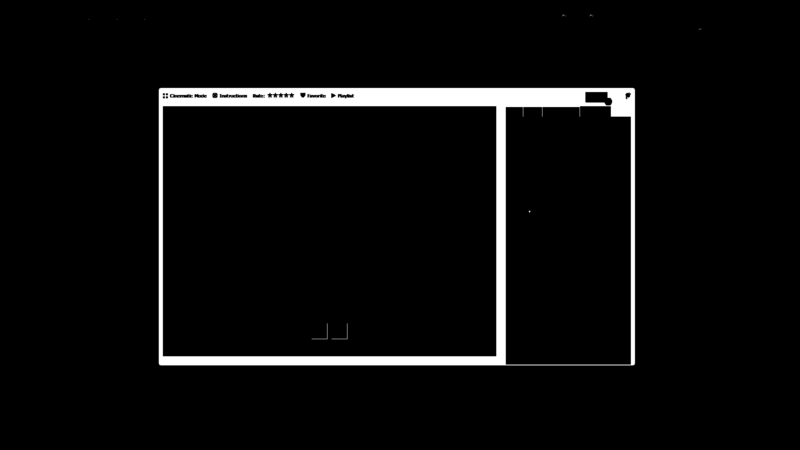 Z3 is a theorem prover made by Microsoft. The SMT (Satisfiability modulo theories) family of solvers build up on SAT (Boolean satisfiability problem) family of solvers, providing capabilities to deal with numbers, lists, bit vectors and so on, instead of just boolean formulas. 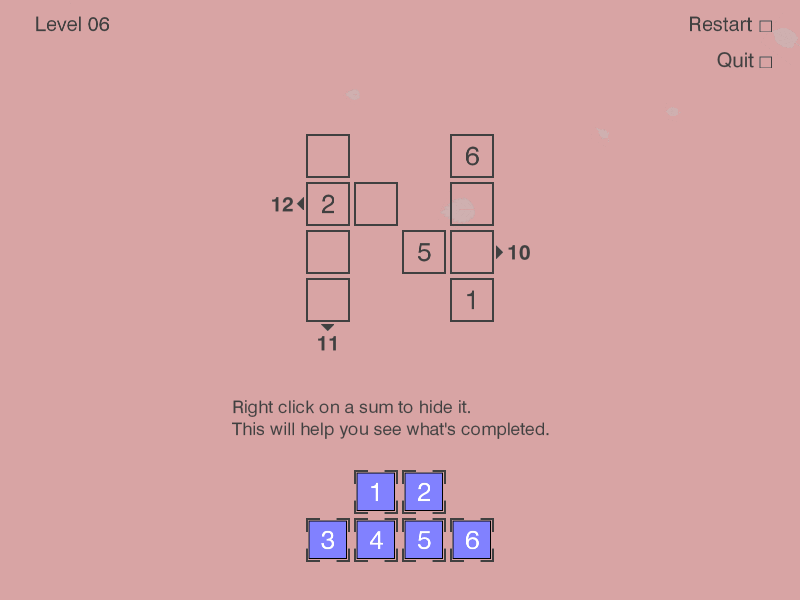 Puzlogic is a number-based puzzle game. 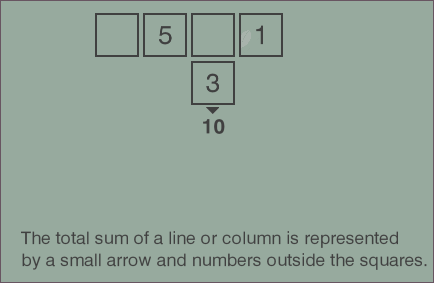 The goal of the game is to insert all given numbers into the board such that all rows and columns have unique numbers, and where a target sum is given - the row or column sums up to a given value. “SAT/SMT by Example” by Dennis Yurichev is a great book to help beginners pick up Z3, and it was the inspiration for this post. Z3 can be thought of as a constraint solver. Given a set of constraints, it will try to find a set of variable values that satisfy the constraints. If it can find a valid set of values - it means the constraints (and thus the theorem) is satisfiable. If not - it is not satisfiable. Here each equation can be considered as a constraint: a sum of variable values have to sum up to a certain value, satisfying the equation. Z3 is way more powerful than that, as evident by Z3py reference, but for the Puzlogic puzzle this is actually sufficient. What we need next is how to describe the given puzzle as a set of constraints for use in Z3. A value of zero is treated as an empty cell. Purple game pieces are expressed just as a list of numbers: [1, 2, 3, 4, 5, 6]. Dimension of 0 marks a row, while 1 marks a column. Limit values of pre-filled cells to the given values. Otherwise Z3 would assign them to some other values. Allow empty cells to get values only of available pieces. Require that there would be no duplicate values in any of the rows or columns. If there are any sum targets specified for given rows or columns, require them to be satisfied. Require that each purple game piece would be used only once. 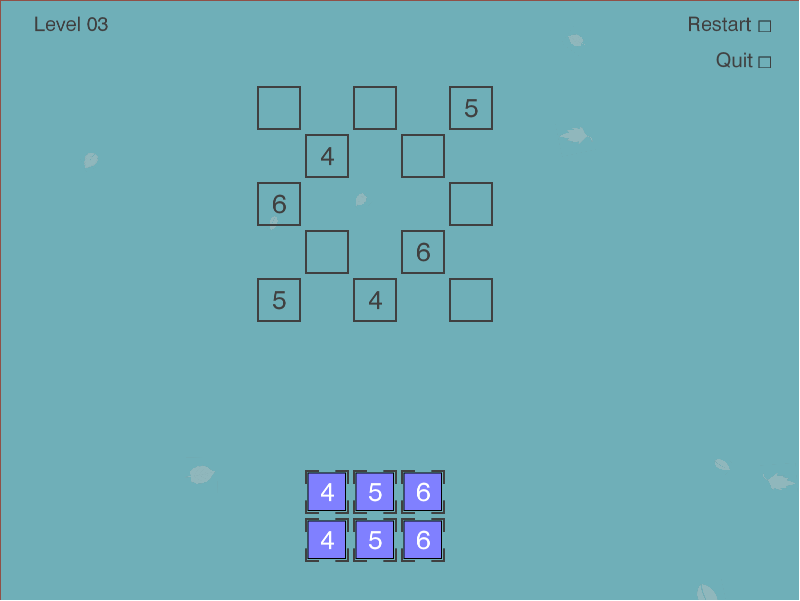 Both default values and the purple game pieces are integers, hence the Int variable type. So far Z3 would be able to assign any integer to any of the variables we created so far. We will constrain the cells to use the already specified value where it is specified. The cell == value is going to generate an expression object of type z3.z3.BoolRef, as cell here is a variable we created above with type Int, and value is a constant. E.g. for the cell (0, 3, 6) the expression would be Int('c_0_3') == 6). 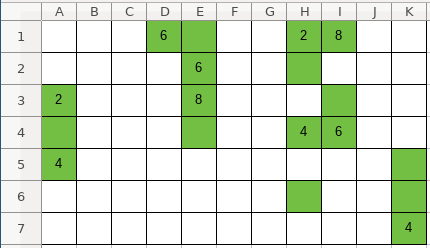 You may notice that this allows cells on the same row or column to have a common value. This will be fixed by constraint 3. This also allows the same piece to be used in multiple cells, we’ll fix it with constraint 4.
itertools.combinations(), given a list of [A, B, C, ...] will output combinations [AB, AC, BC, ...] without repetitions. E.g. c_0_0 != c_0_3, c_0_0 != c_1_0, c_0_0 != c_2_0 and so on. We use it to make sure that no cells with a common row or column index have the same value. Instead of manually iterating over each cell combination, we could’ve used Distinct(args) expression for each row and column. Any column or row may have a sum target that its pieces should sum up to. Here that can be ensured by summing up pieces used in empty cells, and it should match the sum of pieces given originally. Just checking for unique values is insufficient, as on some levels there may be multiple pieces with the same value, e.g. [4, 5, 6, 4, 5, 6]. The values, however, are still Z3 objects, so e.g. an Int() object value may need to be converted into a primitive int via as_long() method. The steps, if done by the human, will solve the puzzle. 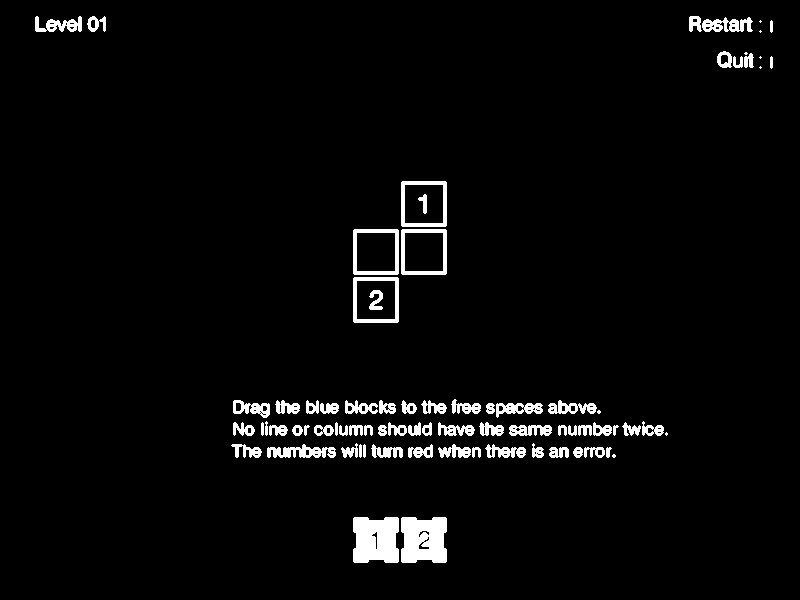 The puzlogic-bot project is able to use the Z3 based solver for first few levels, but that’s only because the Vision component is not able to read the row/column target sums correctly. As we have seen in the example, the Z3-based solver has no issues dealing with target sums in further levels. I found it rather surprising just how approachable Z3 was for a newbie. The puzzle problem perhaps was primitive, but the only difficulty was to not get lost in the constraint definitions the puzzle required. You can find the final code of the solver on Github. If you are curious how puzlogic-bot was built, I have a series of posts on it too. How do you use or would use constraint solvers? TLA+ (Temporal Logic of Actions) is a formal specification language, used for specifying and checking systems and algorithms for corectness. As I’m further exploring it (see my last post about modelling subscription throttling), I’m ocasionally running into situations where I think there may be an issue with the current specification as they unexpectedly do not terminate, but without a clear reason. In programming languages it is common to fire up a debugger and step through the program execution, inspecting instruction flow and variable values. With TLC there is no clear way to do so, at least I was unable to find any. 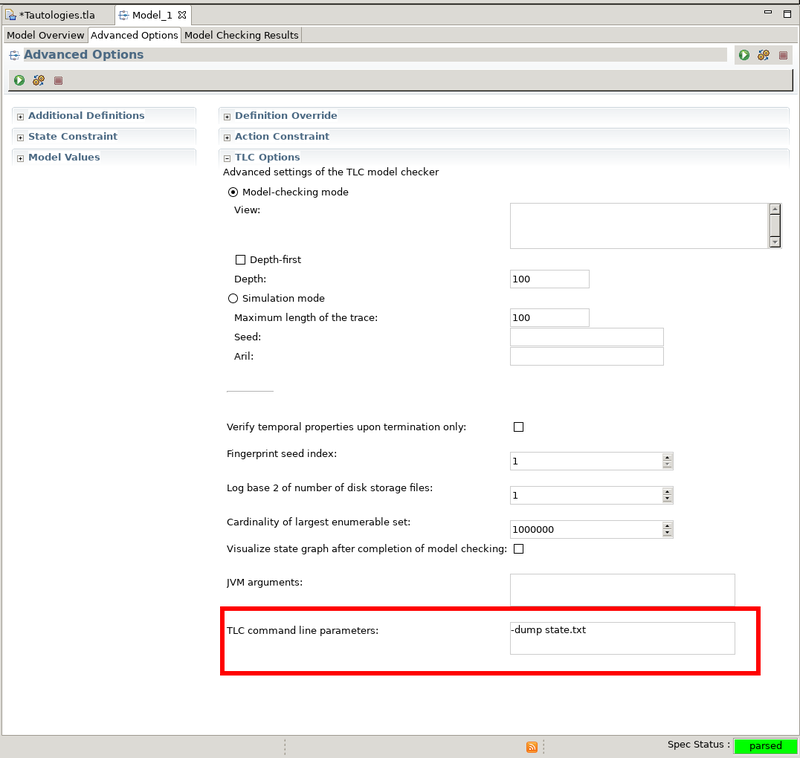 TLC will only provide an error trace for errors it does find, however if TLC execution does not terminate this is of little use. In TLC Command-line options I found the -dump <file> option, which dumps out every reached state into the specified file. There is no equivalent GUI option in “TLA+ Toolbox’s” TLC options, so it has to be specified as a TLC command line parameter in Model > Advanced Options > TLC Options > TLC command line parameters. It’s a low-tech approach, it still is difficult to follow execution in cases with many states, but it has helped me get a better grasp on which states TLC is exploring and clarify issue suspicions. One thing to note is that depending on the size of a state and the number of states, the filesize may quickly grow into gigabytes range, so in certain cases it may be impractical to dump all distinct states, requiring early termination of TLC. This is a very basic method, but if you have better ways of debugging specs themselves - please do let me know! In the the second part of the series we added the Vision component for the Puzlogic puzzle solving bot. 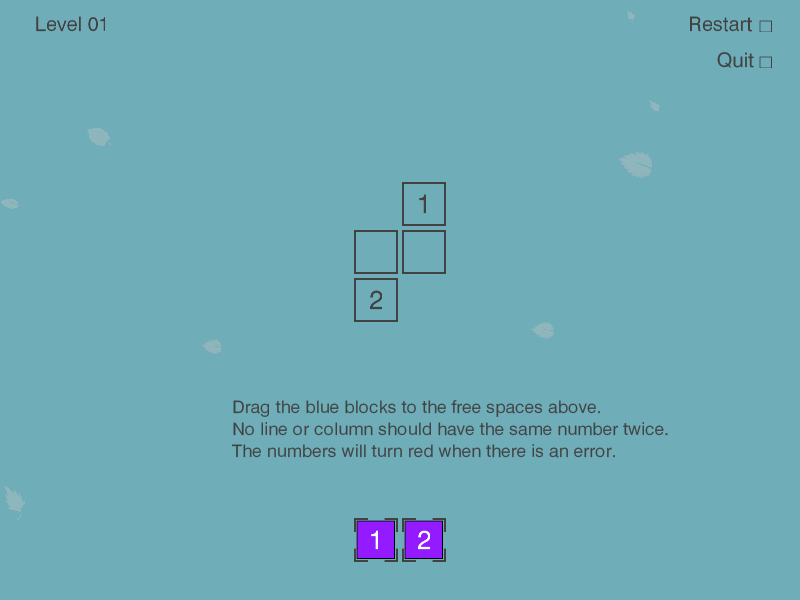 In this post we will add a mouse controller as well as handle basic bot logic to get the bot actually solve some of the beginner puzzles. For controls, as before in the Burrito Bison bot, here we only need the mouse. So I’ll reuse the component, which uses pynput` for mouse controls. For the bot logic, we’ll need to use the Solver, Vision and Controls components, making use of all 3 to solve a given puzzle. 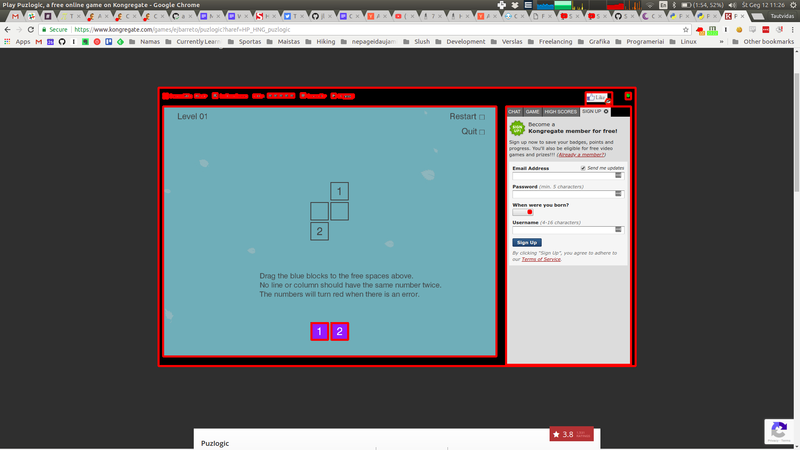 In this case the bot will rely on the human to set up the game level, handle game UIs, while bot itself will be responsible only for finding the right solution and moving game pieces to the target cells. For move_mouse(x, y), it needs to move the mouse to the given coordinate on screen. Pynput would be able to move the mouse in a single frame just by changing mouse.position attribute, but for me that caused problems in the past, as the game would simply not keep up and may handle such mouse movements unpredictably (e.g. not registering mouse movements at all, or moving it only partially). And in a way that makes sense. Human mouse movements normally take several hundred milliseconds, not under 1ms. To mimic such gestures I’ve added a way to smooth out the mouse movement over some time period, e.g. 100ms, by taking a step every so often (e.g. every 2.5ms in 40 steps). The second necessary operation is mouse dragging, which means pushing the left mouse button down, moving the mouse to the right position and releasing the left mouse button. Again, all those steps can be programatically performed in under 1ms, but not all games can keep up, so we’ll spread out the gesture actions over roughly a second. And that should be sufficient for the bot to reasonably interact with the game. Solver component needs to get information from Vision about available cells, their contents, available pieces in order for Solver to provide a solution. 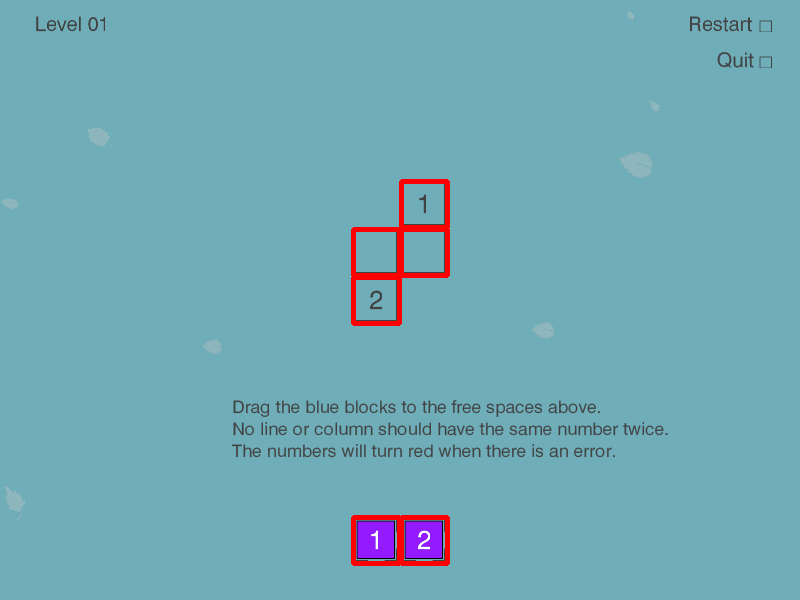 Take the solution from Solver, and map its results into real-life actions, by moving the mouse via Controls to the right positions.
""" Needs to map vision coordinates to solver coordinates """
Then we need to a way feed information to Solver. But we can’t just feed vision information straight into the solver (at least not in the current setup), as it both work with slightly differently structured data. So we first will need to map vision information into structures that Solver can understand.
""" Prepares vision cells for solver """
""" Prepares vision pieces for solver """
self.get_constraints() currently is not implemented in Vision component, and instead returns an empty list . We can just pass that along to the Solver unchanged for now, but will likely have to change it once constraints are implemented.
""" Prepares vision constraints for solver """
Now that we have the solution in the form [(target_row, target_column, target_piece_value), ...], we need to map that back into something that could work for the graphical representation. We already treat x and y of each cell as the “row” and “column”, which works because all cells are arranged in a grid anyway. Now we only need to find which available pieces to take from which cell, and move those to respective target cells. get_available_piece takes the first one from the vision’s set of pieces, and uses that as a source for the solution. As for handling coordinates, one thing to not forget is that coordinates point to the top left corner of the corner, and are not always absolute in relation to the OS screen. E.g. 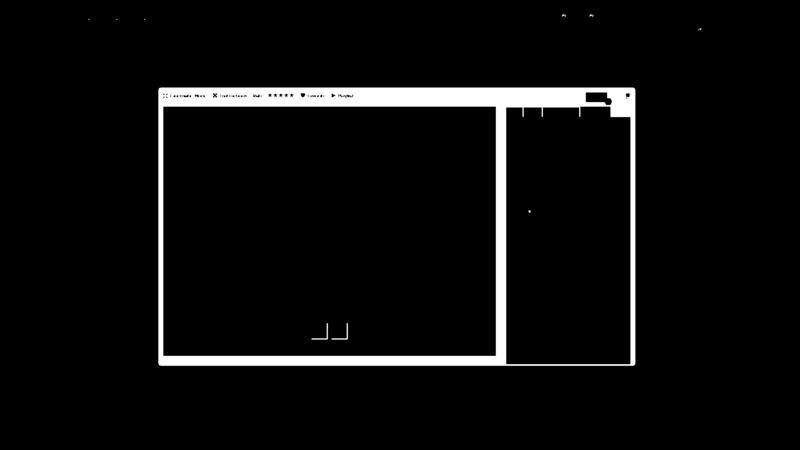 a piece’s x coordinate is relative to the game screen’s x coordinate, so to find its absolute coordinate we need to sum the two: absolute_x = board.x + piece.x. Top left corner of the piece is also not always usable - the game may not respond. However, if we target the center of the cell - that works reliably. So we offset the absolute coordinate with half of the cell’s width or height: absolute_x = board.x + piece.x + piece.width. You can see that the bot needs human help to get through the interfaces, and it can only solve puzzles by itself. Even then, it is able to resolve the first 4 basic puzzles, and just by chance is able to solve the 5th one, as it contains sum constraints - right now the bot cannot handle sum constraints in vision. So it does fail on the 6th puzzle. Full code mentioned in this post can be found on Github: flakas/puzlogic-bot - bot.py, flakas/puzlogic-bot - controls.py. If you are interested in the full project, you can also find it on Github: flakas/puzlogic-bot.